The American Society of Heating, Refrigerating and Air-Conditioning Engineers (ASHRAE) fourth version of its proposed legionella standards for the prevention of Legionellosis associated with building water systems (Legionella Standard 188P: Legionellosis: Risk Management for Building Water Systems) has been released for public comment until November 10 2014. When the proposed 188P standard is finally published, it will provide the USA with a more focussed and stricter set of legionella control standards than the current set of general guidelines available. 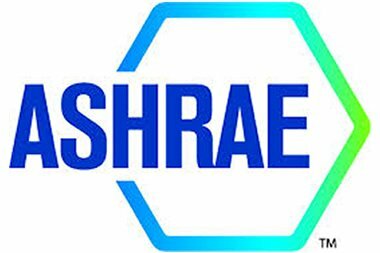 The new ASHRAE Standard 188P will impact constructors, engineering contractors, building owners and those involved in the day-to-day operation and management of buildings, and if things go wrong, it could increase the risk of litigation for those that don’t choose to subscribe to these new standards. ASHRAE’s Standard 188P, entitled ‘Legionellosis: Risk Management for Building Water Systems’ is a document that is currently under development but is expected to be published soon. Its purpose is to establish minimum standards and risk management requirements for building water systems throughout the USA. It has been developed to assist real estate owners and those involved in the management and construction of buildings to develop effective management strategies to prevent outbreaks of Legionellosis. Who will be affected by the new standard? Multiple rooms or units that are supplied by one (or more) central hot water heaters. Occupants who may have impaired immune systems. One or more spas or whirlpools. One or more features that can be described as aerosol generating (fountains, misters, humidifiers etc.). If the halogen concentration in the potable water supply is less than 0.5mg/L. If cooling is provided for the building by a cooling tower or evaporative condenser. What will be the effect on real estate owners and constructors? The ASHRAE 188P standard firmly places the onus on the building owner for good facility management and the safety of the building’s water systems. It is likely that most building owners will turn to specialist legionella risk management and water treatment companies to help them implement the standard’s recommendations, as will those who are in the process of, or planning to build a structure that contains at least one of the above features. Are building owners required to comply with ASHRAE 188P? No, the ASHRAE Standard188P is a set of standards, not legislation. However, failure to comply with the recommendations of the document could expose organisations to potential legal action if they are implicated in an outbreak of Legionellosis. The USA based Occupational Safety and Health Administration (OSHA) has indicated that those responsible organizations are required by law to do everything in their power to protect building occupants from known hazards such as legionella bacteria. Following the guidelines set out in ASHRAE’s new Standard188P will help to ensure that building owners have in place a robust and effective legionella risk management system, and should have greater protection against allegations of wrongdoing or negligence, should a legionella outbreak occur.